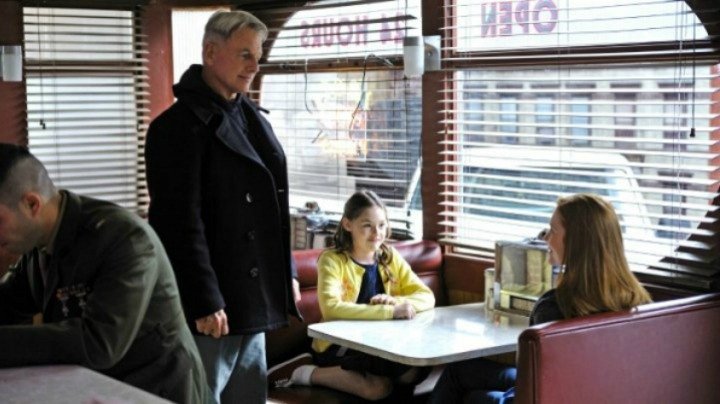 How Well Do You Know Leroy Jethro Gibbs? A: They died in a tragic accident. Gibbs met his first wife, Shannon, at a train station in Stillwater. The two later married and had a daughter, Kelly, whom they adored. Unfortunately, the family's happiness didn't have an opportunity to last long. After Shannon witnessed cartel member Pedro Hernandez murder a Marine, she and Kelly were placed under protective custody. One night, while driving with the NCIS agent responsible for looking after them, a vengeful cartel member tracked them down and shot the agent in the head. With no one to take control of the wheel, the vehicle crashed, and both mother and daughter died instantly. While it wasn't his fault, Gibbs has always blamed himself for serving overseas instead of protecting his family.